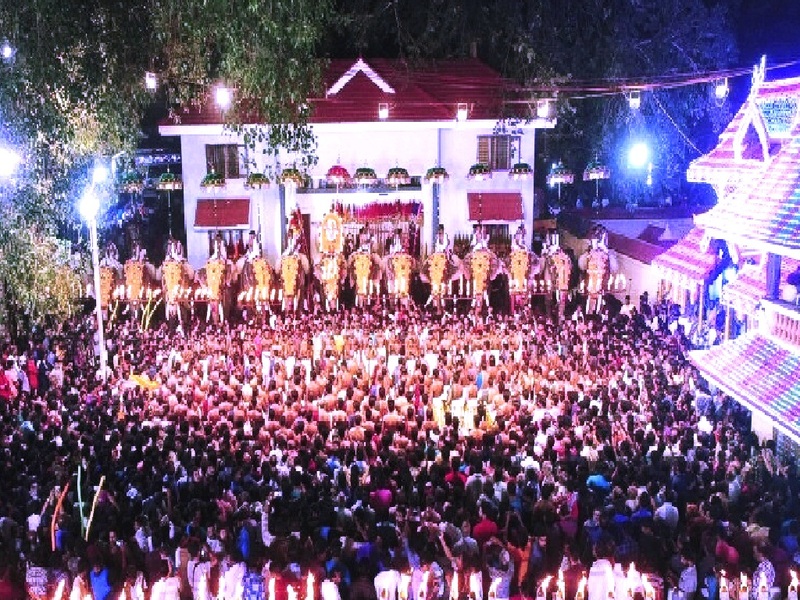 The Sree Sastha Temple at Arattupuzha in Thrissur is believed to be more than 3000 years old and is renowned for the annual festival called Arattupuzha Pooram. During the festival, Sage Vashista, the presiding deity at the Sree Sastha Temple is visited by Gods and Goddesses of the neighbouring villages. And this confluence of Gods and Goddesses is renowned as Devamela or Devasangamam. 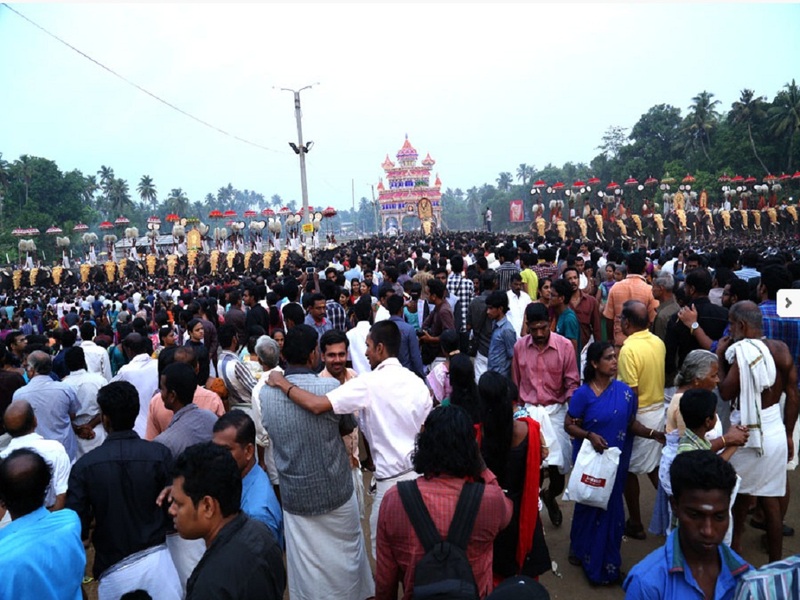 Said to be mother-of-all-poorams, the excitement and devotion of the festival, which is celebrated in the Malayalam month of Meenam, reach its pinnacle on the last two days. 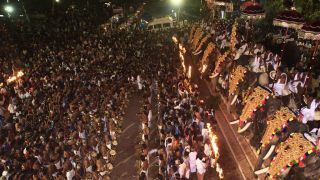 The evening prior to the last day of the festival is when Sasthavinte Melam takes place. This ceremony is marked by caparisoned elephants and scintillating performances of percussion ensembles like the Pancharimelam and Pandimelam. 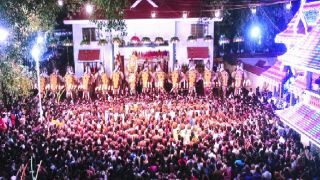 Koottiyezhunnalippu or Devasangamam of 23 participating deities is another spectacular event of Arattupuzha. 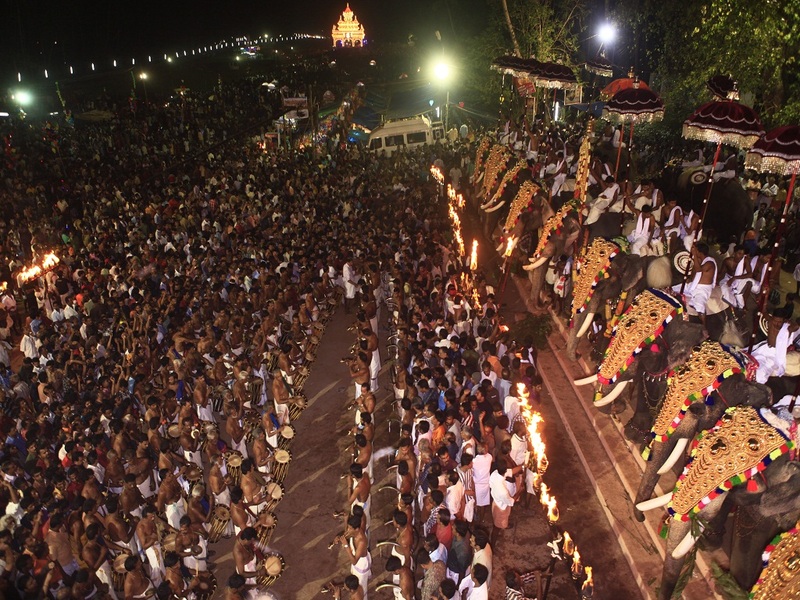 By sunrise, the elephants carrying idol replicas of deities from neighbouring temples would proceed to the nearby river for the aarattu, Mandaram Kadavu Arattu. The last to undergo the aarattu is Lord Ayyappa, the presiding deity of the Sree Sastha Temple at Arattupuzha. 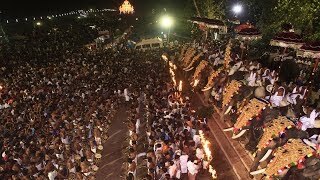 The participating Gods and Goddesses of Arattupuzha Pooram are Thriprayar Thevar, Urakam Amma Thiruvadi, Cherpu Bhagavathy, Chathakkudam Sastha, Thiruvullakkavu Sastha, Anthikkad Bhagavathy, Thottippal Bhagavathy, Pisharikkal Bhagavathy, Edakkunny Bhagavathy, Ayyunnu Bhagavathy, Thaikkattusery Bhagavathy, Kaduppasery Bhagavathy, Choorakkode Bhagavathy, Poonilarkkal Bhagavathy, Chakkamkulangara Sastha, Kodannur Sastha, Namkulam Sastha, Maattil Sastha, Nettissery Sastha, Kalleli Sastha, Chittichathakkudam Sastha, Medamkulam Sastha and the Arattupuzha Sastha.